Building Design + Construction magazine has released its 2009 ranking of the top 300 architecture firms in the United States, with NAC Architecture listed 34th overall. We are also on the Zweig Letter Hot Firm list, the Architectural Record Top 250 and on Engineering News-Record magazine's lists of Top Firms and Top Green Design Firms. Architect magazine recently released its ranking of the top 100 architecture firms in the United States, with NAC Architecture listed 90th. The list was published in the May 2009 issue. Firms were first chosen by editors of Architect based on their standard of work and inclusion in other industry rankings. 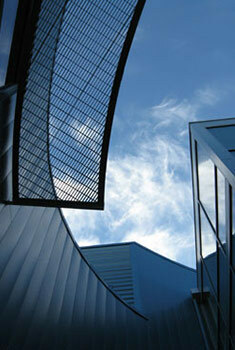 Also surveyed were 16,000 randomly selected Architect readers and subscribers. Once tabulated, firms were ranked based on caliber of design, sustainable practices, 2008 awards, and fiscal responsibility. "It is gratifying to have climbed almost two-fold in national rankings in just a year. It is even more rewarding when that recognition is based on criteria that emphasize design excellence and environmental responsibility rather than just traditional financial metrics. Certainly having been recognized with several national design excellence awards during the past 12 months by both peers and user groups, and demonstration of our commitment to sustainability through 74 LEED Accredited Professionals on our staff has gone a long way in bringing those results to every one of our clients," explained Bruce E. Blackmer, FAIA, president and CEO of NAC Architecture. 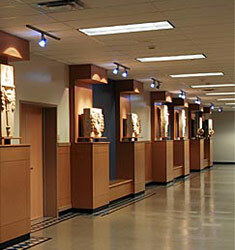 Aberdeen High School, located in Aberdeen, Washington, has been awarded a 2009 American School & University Educational Interiors Showcase Gold Citation for outstanding interior design. The jury, which comprised school administrators and AIA-member architects, noted that the design featured "excellent reuse of salvaged materials, which are displayed in a meaningful way." NAC Architecture thoughtfully incorporated reclaimed elements of the campus's historic Weatherwax Building, which had been destroyed by fire, in its design of the replacement school. "This award belongs to the community, who rallied behind construction of a new school following the devastating fire that gutted the original, landmark building," explains NAC Architecture Associate Principal Malcolm Jollie, who served as principal-in-charge of the project. "We were inspired by the public's passion to preserve and celebrate Aberdeen's heritage in the new school." Coleen Monaghan has rejoined NAC Architecture as a Senior Associate and Director of Interiors of the firm's Spokane office. Monaghan previously worked for NAC Architecture for 12 years, providing a full complement of space planning and interior design services to a broad range of clients. 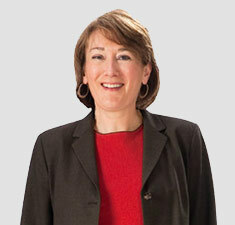 "We are pleased Coleen has returned to the NAC Architecture team. She possesses an instinctive ability to embrace the client's vision as her own and produce superior interior design solutions. Her wealth of experience and knowledge will play an instrumental role in meeting the needs of our clients," says Steve McNutt, AIA, managing principal of the firm's Spokane office.Monaghan is a graduate of Montana State University with a Bachelor of Arts degree in Professional Design. Currently, she is participating in designing interiors for Magnuson Hotels in Spokane, Washington; Whitman Clinic in Colfax, Washington; Cascade Medical Center in Leavenworth, Washington; and renovation of Patterson Hall at Eastern Washington University in Cheney, Washington. 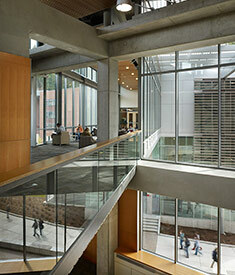 The Academic Instructional Center at Western Washington University has won the American Institute of Architects Washington Council's Civic Design Honor Award, its highest recognition. The award was presented to Executive Architect NAC Architecture and their teammate, Design Architect Opsis Architecture, at this year's award celebration. Jury members indicated that projects they recognized with awards "provide a seamless integration of community purpose with beautiful architecture and a transparency that allows for a connection to the environment and vibrant natural light." "We are gratified to be accorded this tribute for creatively integrating the community's need for inspiring space, with sustainability and demanding functionality in this technologically challenging higher-education project, and thank our colleagues at Western Washington University for giving us the opportunity to help shape the future of their campus environment," said Bruce Blackmer, FAIA, president and CEO of NAC Architecture. Little Cedars Elementary School, located in Snohomish, Washington, has been awarded a 2009 Learning By Design Citation of Excellence for outstanding educational facility design. Judges were impressed with the integration of Little Cedars' learning areas, noting that they are "at ease" with the rest of the building's design and the external landscape. Judges also remarked, "The sustainable elements of this 68,000-square-foot school have been refined into an exciting learning solution." 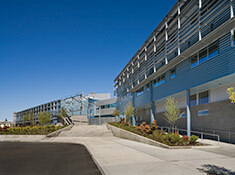 Cavelero Mid High School in Lake Stevens, Washington, was recently honored with a 2009 Citation from the National School Boards Association and a 2009 Honorable Mention from Learning By Design. A National School Boards Association jury member commented, "This bold design embraces the needs of the educational program. ... Truly functional and aesthetically pleasing, this structure will accommodate reconfiguration of the educational plan for many years." These thoughts were echoed by jurors of the Learning By Design award when they remarked how the "building's flexible configuration accommodates a variety of learning models through the creation of four two-story, personalized learning centers." In addition, Cavelero Mid High School, which was designed by NAC Architecture, was named a finalist for the Council of Educational Facility Planners International James D. MacConnell Award, which recognizes an outstanding, comprehensive planning process, assessing how well a school facility supports the academic program of the school district. The school was also named a semifinalist for the 2009 WAN Education Award presented by World Architecture News; this annual award recognizes excellence in design on a global scale. Helena L. Jubany, managing principal of NAC Architecture's Los Angeles office, has been appointed to a one-year term on the Design Control Board for Marina del Rey. Nominated by Los Angeles County First District Supervisor Gloria Molina, Jubany was confirmed by the Los Angeles County Board of Supervisors. The Design Control Board is charged with approval of any exterior modifications or improvements to any parcel within unincorporated Marina del Rey, including repainting, signage and re-landscaping.Jubany, whose term continues through July 27, 2010, volunteers her time to serve at the monthly board meetings. 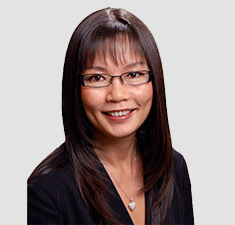 She brings to her board role extensive planning and design expertise as well as her personal interest and professional experience in urban revitalization. Jubany also was recently appointed to a second five-year term on the City of Los Angeles Board of Building and Safety Commission. 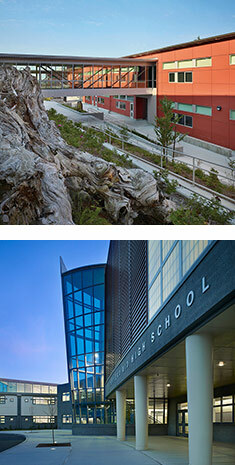 Woodrow Wilson High School, Phase I, in Tacoma, Washington, has won an International Design Award in Architecture, taking Third Place in the Institutional Design category. The annual International Design Awards recognize architects and designers of interiors, fashion, products and graphics. Hossein Farmani, IDA founder: "The International Design Awards remain focused on recognizing visionary artists spanning all disciplines of design. ... The innovation and quality of this year's submissions have truly raised the bar for future competitions." 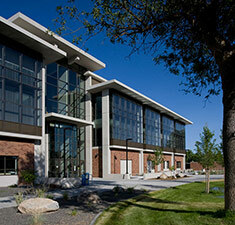 The Spokane Falls Community College sn-w'ey'-mn Building has earned LEED Gold certification, making it the first community college building in Washington state to attain this status as well as the first LEED building constructed on a Community Colleges of Spokane (CCS) campus. The original goal of CCS was to achieve LEED Silver; with significant contributions by the owner, contractor and the design team this project exceeded their goal and obtained 43 points - well beyond the 39 points needed for LEED Gold. The 70,000-square-foot building, housing the Business and Social Science departments, is the first new building on the Spokane Falls Community College campus in nearly two decades. The multitude of sustainable attributes integrated into the design provide a new, more environmentally sensitive direction for the extensive expansion currently underway on two of CCS's primary campuses.